Katie Cardigan Cocktail. The perfect knitted cardigan for the in between season. This piece looks gorgeous thrown over a simple black dress, casually over a pair of capri pants or paired with our Collectif cocktail skirt. Martini glasses, cherries and cocktail shakers. 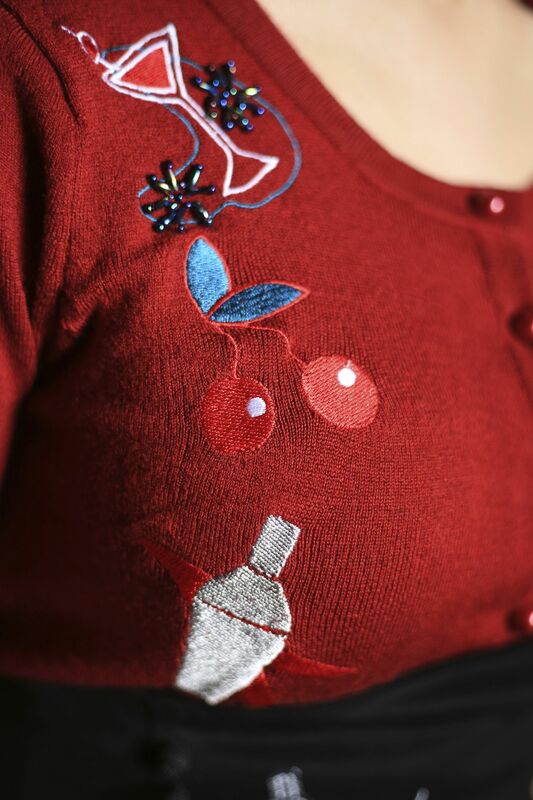 It is the cutest kitsch 50's cardigan around. Available in cherry and black.